Habitat: It grows wild in fields or in fields in moist soil shaded in the lowlands to an altitude of 2500 m above sea level. Name of area: Ganyol; Laos jambe; Lembong nyindra; Ganyu; Banyur. Description of the plant: Plant Wet trunked shrub that is grassy and chronic, soft trunked, growing to the height of 0.9 to 1.8 meters tall, round shape until slightly flattened stem and leaf midrib is a collection of regular and overlap until called rods pseudo or false trunk. 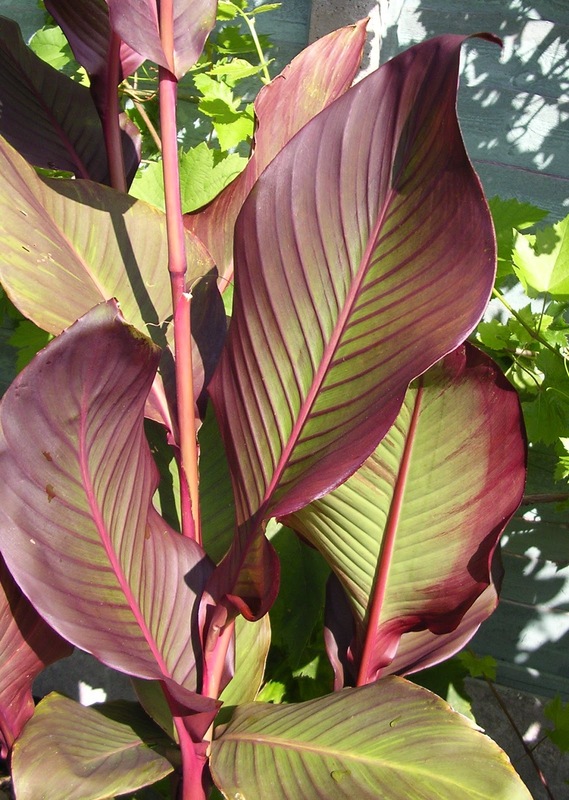 The leaves of this plant wide green or reddish, elliptical leaf shape, elongated. Canna flower-shaped trumpet. Small round fruit, skin nodule smooth, there are pieces in the cavities where the attachment of seeds. Tubers of this plant is generally a length of 60 cm and a diameter of 10 cm, thick and fleshy white or purplish. Canna tubers 30 g; temu lawak ( Curcuma xanthorrhiza ) rhizome 30 g; 700 ml water, boiled until boiling for 15 minutes, Warm drink 2 times a day. Canna tubers 40 g; 30 g leaf of kumis kucing ( Orthosiphon aristatus ); The roots alang-alang ( Imperata cylindrica ) 20 g; 600 ml water, boiled until boiling for 15 minutes, Warm drink in the morning and afternoon.